It's one of those stories where you're walking in a flea market and finding a priceless piece of art. That's exactly what happened to a retired French archeologist who noticed the 500-year-old engraving by German artist Albrecht Dürer as he stopped by a bric-a-brac stall in Sarrebourg, France. The archeologist was able to buy the artwork for a few euros and decided to donate it to the Staatsgalerie in Stuttgart after noticing the museum's stamp in the back. 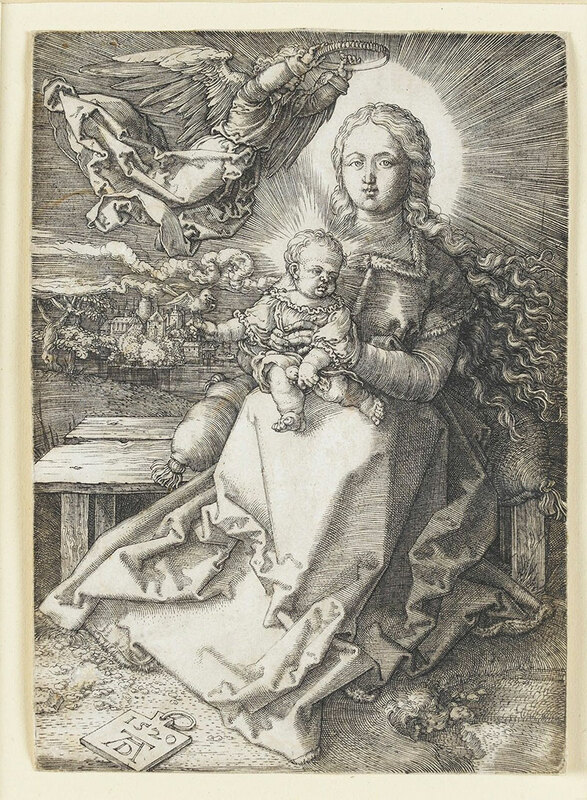 The copperplate engraving, Maria Crowned by an Angel, was made in 1520 and has been missing since the end of the second world war. The artwork remained in very good condition as it was probably wrapped in paper for the past few decades in order to preserve it. It's one of those stories where you're walking in a flea market and finding a priceless piece of art. That's exactly what happened to a retired French archeologist who noticed the 500-year-old engraving by German artist Albrecht Dürer as he stopped by a bric-a-brac stall in Sarrebourg, France.